YOU NAME IT, WE HAVE NOT GOT IT! This Sunday sees the red carpet laid out in Hollywood for all the glitz of the OSCARS. Wester Hailes has seen its fair share of film limelight over the years. In one year alone in 1984, filming for three productions took place. A film about Douglas Dunn the poet had scenes set in the WHEC. The Oxford film company shot sequences for their film Restless Natives, and it was the year that the Channel 4 film “The Huts” was filmed. One of the top searches on this blog is for the “The Huts”. Made in the early days of Channel 4, the film focuses on the efforts of local residents working together to improve life locally. For years people in Wester Hailes had asked for more facilities. They organised the building of the Community Workshop in Hailesland, establishing a local management committee. The plan was then to have community flats in each individual area. But despite constant campaigning, the scheme became caught between the new two tier local government, with the District Council being unable to come to agreement with the Lothian Regional Council over who should provide the premises. 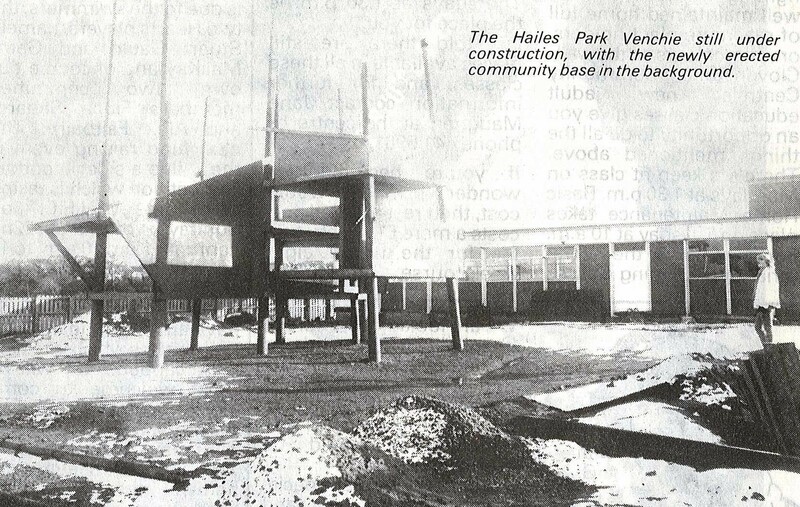 So, as with many of the developments in Wester Hailes when official channels would not provide support, the community created its own solution, overseeing the construction of 7 huts. These community bases provided places where people could meet, groups could be run and services delivered. The film shows how the community huts impacted on the lives of local individuals and groups, creating change and improving the life of the wider community. It focuses on positive aspects of the area, using drama, documentary and music to show the strength of the local community. The story of the making of The Huts is almost as well known as the film itself. Jeremy Isaacs, head of Channel 4 visited Wester Hailes to consult with Jimmy Boyle about a film that was being produced about his book, “A Sense of Freedom”. Jimmy Boyle completed a training course in Wester Hailes prior to being released from prison. Jeremy Isaacs realised that the story of the Community Workshop would make a fascinating film but he wanted people from Wester Hailes to be involved in shaping the film as well as appearing in it. A collaborative partnership was formed between Turnstyle a small independent film company and the Wester Hailes Representative Council to put together the film. Wester Hailes residents had already set up a Media Forum to challenge some of the negative portrayals of the area. Media reports continually focused on bad news stories, creating a stigma that is still in evidence today. So local residents were keen that The Huts should show another side to life in the area. Community groups such as the FISH Neighbourhood Scheme and the Wester Hailes parents’ support group described their work. The Wester Hailes children’s circus were featured, as well as the music of Tommy Smith the saxophonist. 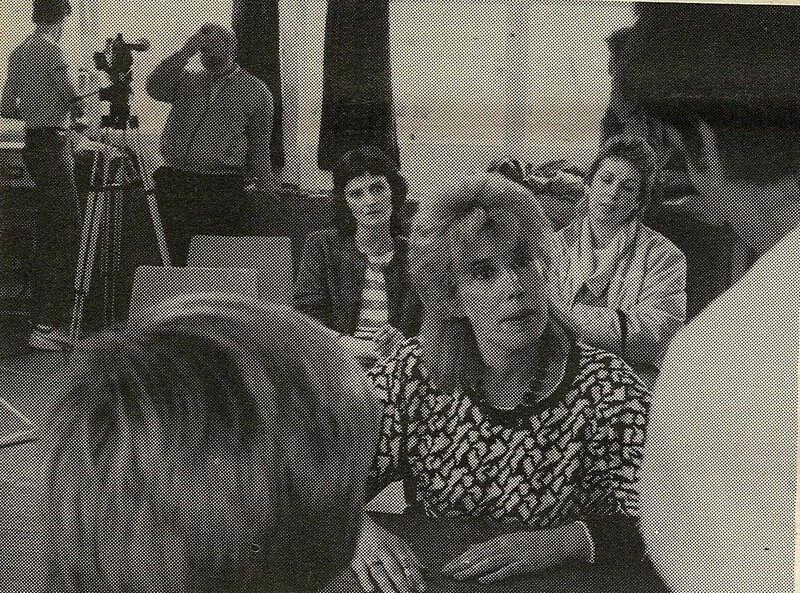 The film was shown on Channel 4 in August 1985. you can read more about the film by clicking here on Sentinel August 1984. Categories: history, newspaper, photographs | Tags: arts, community, film, Wester Hailes | Permalink. The end of community newspapers in Edinburgh? A few weeks ago we looked at the role community newspapers can have in acting as a voice for the community. They provide positive news stories about areas that often suffer from an unjustified negative image elsewhere in the media world. They link people in to local services and activities by providing detailed information straight through their front doors. And they document life across the years, acting as a local archive. Research carried out last year by the Media Trust showed that in areas where there was a strong community newspaper presence, local democracy was more active, with local residents feeling listened to and able to speak out about matters affecting them. Now, as part of the savings being made in the City of Edinburgh Council budget, the remaining printed community newspapers in Edinburgh have had their funding cut. The North Edinburgh News is now planning its final issue. This will feel familiar to many residents in Wester Hailes who will remember the West Edinburgh Times having to close their doors two years ago. Other papers facing closure include the Craigmillar Chronicle and the Speaker in Restalrig. Many organisations faced cuts and undoubtedly there were difficult decisions to be made. But allowing these independent community voices to disappear seems to be short term thinking at a time when much effort and resources is being placed into trying to involve more people in local democracy. As the Sentinel showed, community newspapers are the most effective way of achieving this, and they never needed a glossy cover to get people involved! Categories: newspaper | Tags: community, groups, news, newspaper | Permalink. 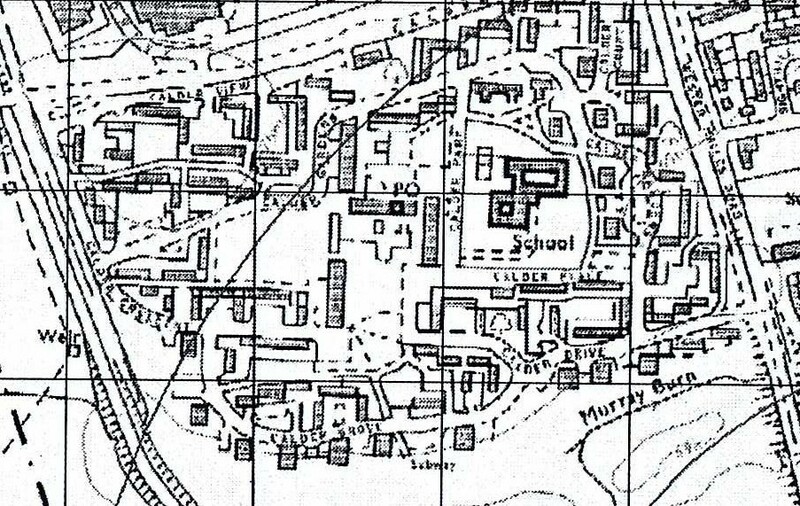 In the three decades after the Second World War, the changing picture of Wester Hailes revealed by successive maps is no longer one of slow, small-scale development. The alterations recorded are huge and, from the perspective of the previous hundred years, very sudden. 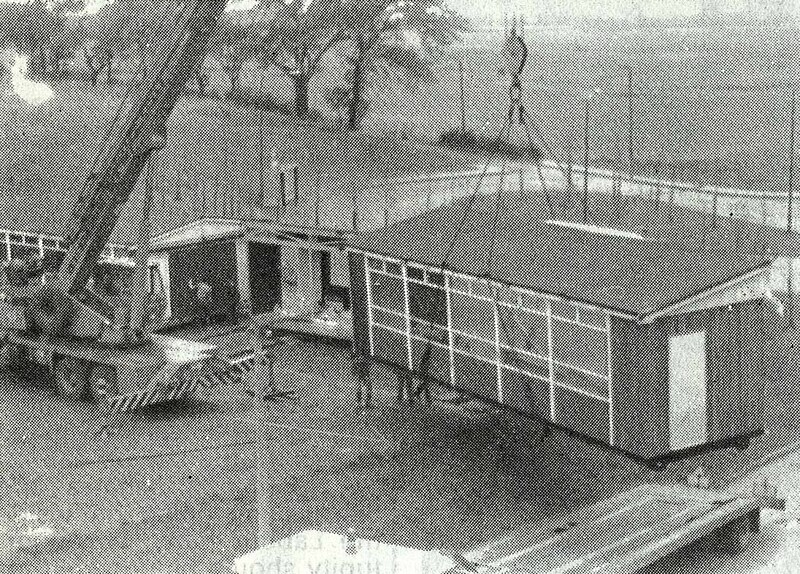 It begins immediately after the war with the construction of 537 prefab houses in an area of land between the A71 in the north, the canal in the south and west and Wester Hailes Road in the east as part of the Temporary Housing Programme launched by the government in response to the tremendous housing shortage of the time. The OS map published in 1956 shows a complete mini-estate, arranged in a regular pattern on what had been open fields before 1945. The names of the streets are redolent of the grids and curves of planned suburbia: Calder Gardens, Calder Broadway, Calder Drive, Calder Circus, Calder Terrace. The 1966 map still shows the prefabs in their entirety but, in that very year, this short-lived community was actually being bulldozed to make way for the Calders housing that exists today. Begun in February 1966, by the summer of 1969 a total of just over 1,300 houses and flats and 9 shops had been built on the same area that the prefabs had occupied. The map of 1973 shows a very different layout of angular blocks distributed in an almost cubist arrangement that gives some clue as to the “modernist” nature of the design. What it can’t do, of course, is to give any sense of scale in the third dimension and, therefore, the contrast in the densities involved. In this map, a shaded rectangle which, for the prefabs, would have represented a terrace of 6-8 houses, is equivalent to a multi-storey block of over 130 flats. Categories: history | Tags: housing, neighbourhood, Wester Hailes | Permalink. 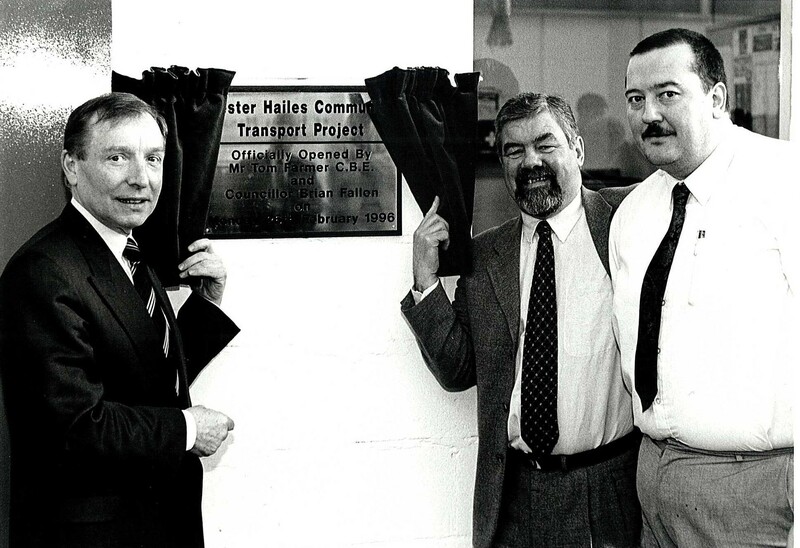 Transport has always been an issue of interest and sometimes concern for Wester Hailes. When the new estate was first built, little thought was given as to how its residents were going to access other parts of the city, or travel anywhere outside the immediate area. The planners thought that by 1980 most residents would own a car and that their visitors would also be car owners. They built the area with one and a half parking spaces for each household. The result was acres of empty car parks lying like urban deserts across the area. A survey carried out in 1985 showed that three quarters of Wester Hailes residents did not own cars. Meanwhile, in the early days, one bus route had been provided. 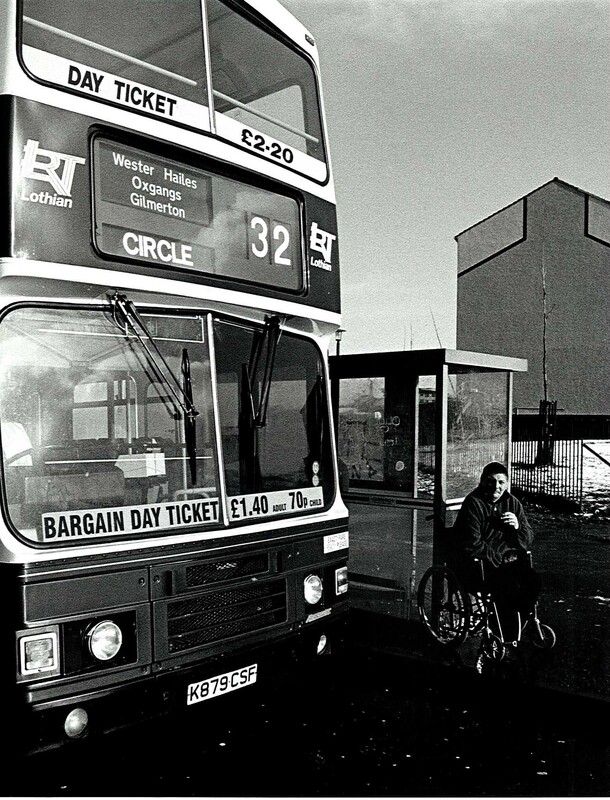 Many areas in Wester Hailes were inaccessible to buses meaning people had to walk long distances to get to the stops. In 1978 the transport campaign group HALT were lobbying to improve public transport links for the estate. Of particular concern was the lack of buses in the evening and at weekends. You can read about their actions by clicking here on Sentinel HALT report . 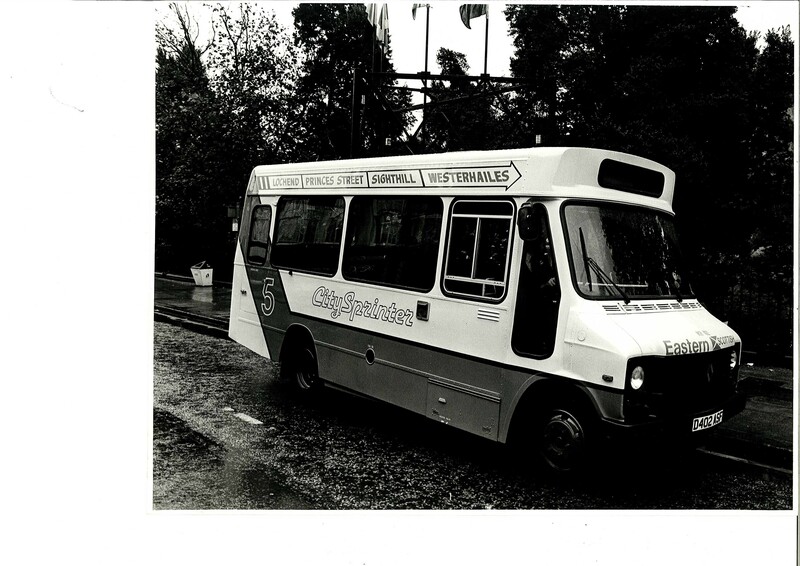 concern generated in 1985 when the privatisation of public bus companies was proposed. 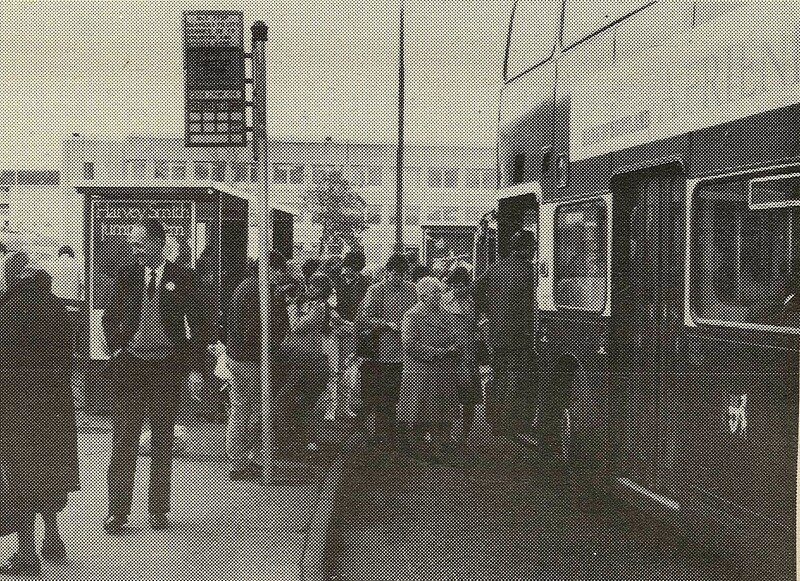 The Sentinel devoted a centre page feature to the issue and carried out a survey showing how important the bus routes were for people in the area. The Conservative government at the time wanted bus companies to be deregulated so that they were run as commercial companies rather than public services. This caused a lot of anxiety for people who depended on the less profitable routes. The Transport Act of 1985 was duly passed. The bus company remained in the ownership of the then Lothian Regional Council being renamed Lothian Regional Transport. You can read about the battle against privatisation by clicking here on Sentinel bus campaign report. Over the years, bus routes have come and gone within the area. They remain a vital service for many people locally not only for getting to work, college or school but also for shopping and seeing family and friends. The Sentinel reported on the launch of the No 20. If it had still been in operation, the paper would no doubt have reported on the fiercely contested loss of this service a few years later, and then its re-instatement. 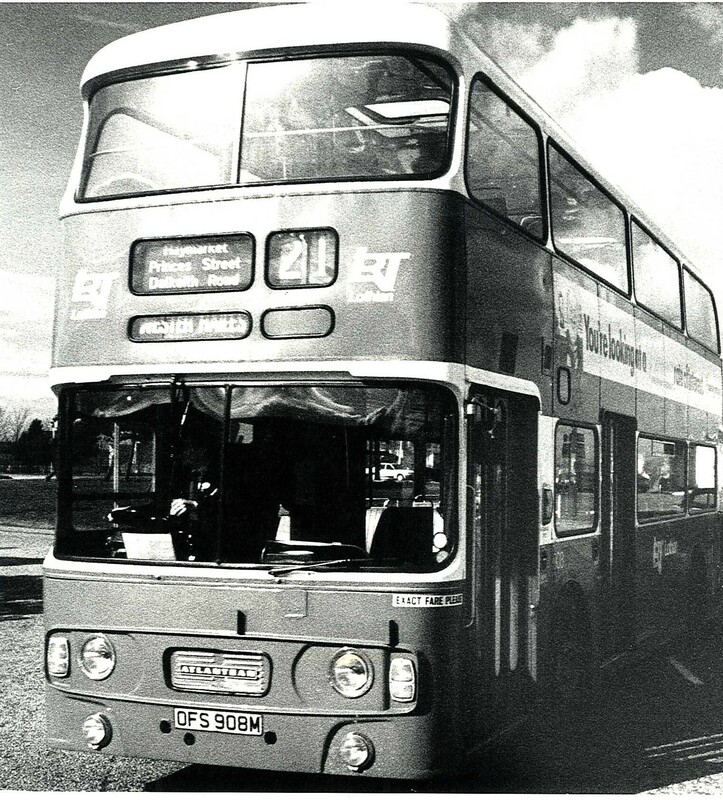 How many of these bus routes do you remember ? Categories: newspaper, people, photographs | Tags: groups, newspaper, people, transport | Permalink. 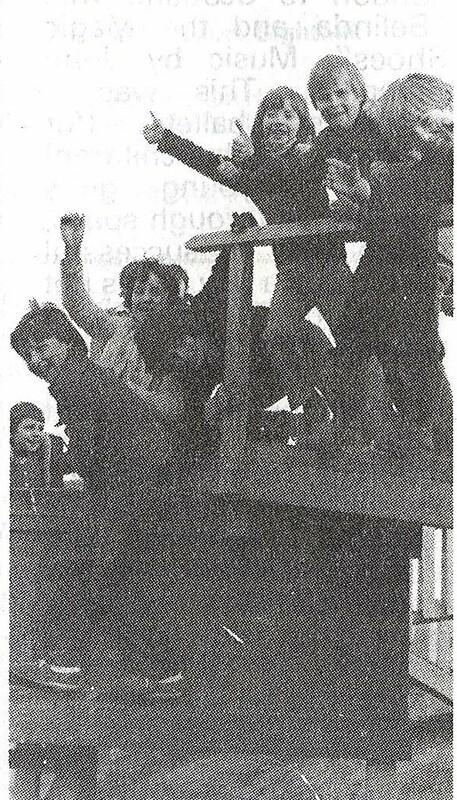 The Sentinel ran a series on the Venchie Playgrounds in 1981 following their story about the original Venchie. Each area was given a feature with a progress report and pictures. The Hailes Venchie was built next to the Cleansing Department Depot in Dumbryden. At the same time, a community base was built, creating an area for the whole community to use. You can read about the work and activities by clicking here on Hailes Park Sentinel. Venchie by clicking here on Clovenstone Venchie. 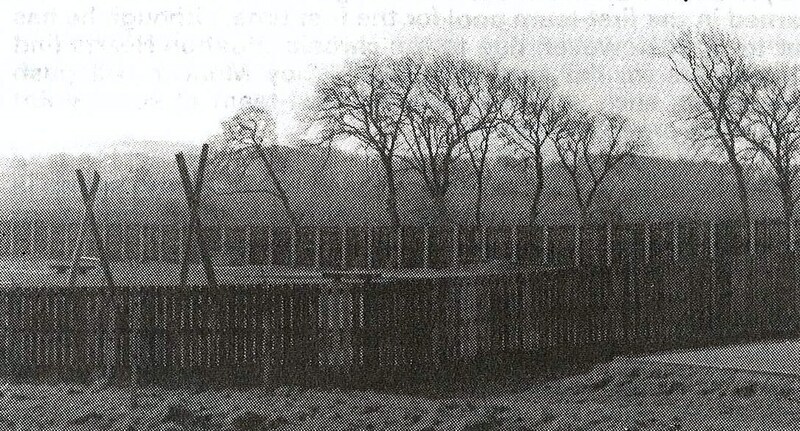 The Calders playground was sited on the edge of the Calders housing development. It took longer to build as funding for the work needed to be worked out. In the end, a Y.O.P. scheme was favoured with trainees carrying out the construction. You can read about the plans for the Calders Playground by clicking here on Calders in the Sentinel. 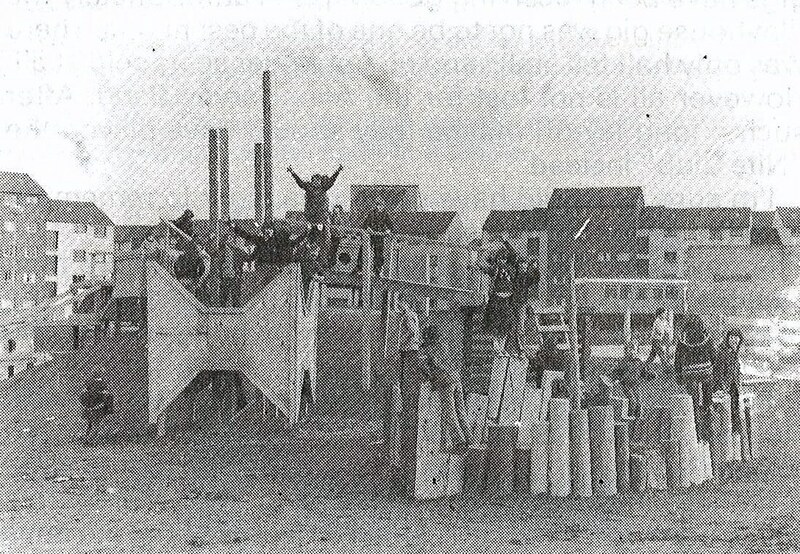 Although the playgrounds were developed separately and had their own committees, they worked together to co-ordinate activities across Wester Hailes. They also prioritised involving children and young people in the decision-making about the playgrounds- what should be provided, how the areas should be developed, what activities could be organised and run. This meant that local children felt that the playgrounds belonged to them and were somewhere they could meet up safely. Categories: newspaper, people | Tags: groups, neighbourhood, Wester Hailes, young people | Permalink. A map tells us about location and distance, where something is and how to get there. It is about physical reality at a particular point in time – when the land and places were surveyed – and it is also about describing and naming. However, comparing different maps of the same area drawn up over the years can shed a fascinating light on another dimension, that of time – and how quickly or slowly change happens. For a century or more up to the outbreak of the Second World War, the three hundred or so acres now known as the housing estate of Wester Hailes remained essentially unchanged – a tract of open land in the vicinity of the city of Edinburgh with a railway and a canal running east/west across it and a road, the original Wester Hailes Road, bisecting it north/south from what is now the A71 Calder Road, over the canal and under the railway, to the A70 Lanark Road. Look closely though at the maps dating from different times throughout the period and those individual snapshots start to come together a bit like a very crude and jumpy film with big gaps between frames. A slowly evolving picture can be discerned. Even before the abrupt and massive transformation wrought by the construction of thousands of houses, what we see is a process of social and economic alteration. 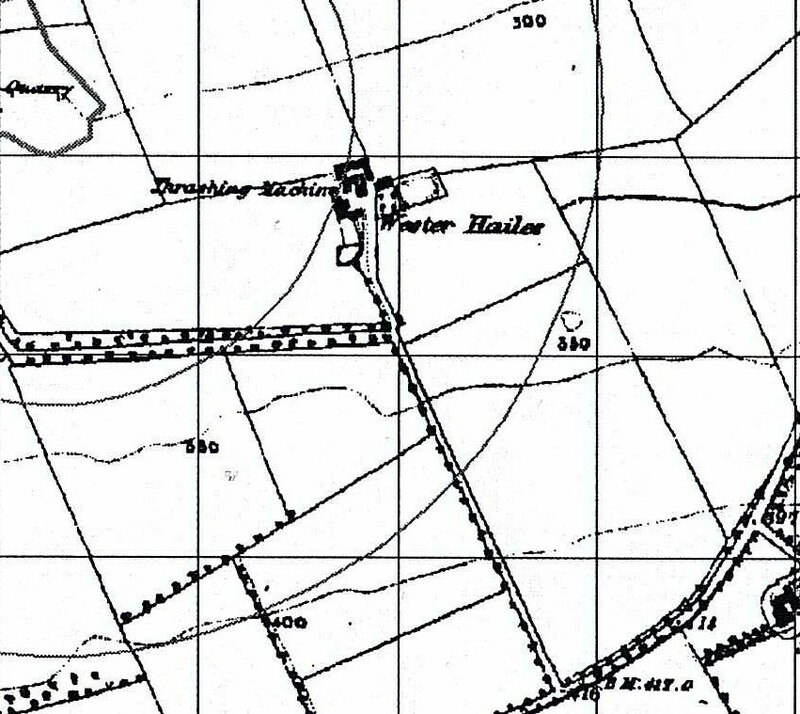 The Ordinance Survey map of 1855 identifies three farms in the area: Wester Hailes, Dumbryden and Fernieflat each with thrashing machines to extract the grain from oats or wheat. The major man-made feature shown is the massive Hailes Quarry and there are also three much smaller quarries, two labelled as “sandstone” and one “old”. 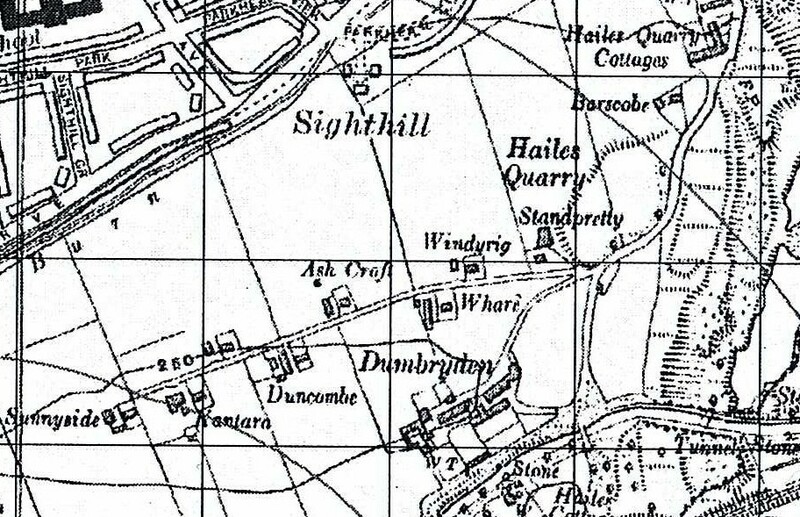 In 1932 only Hailes Quarry is still operational. 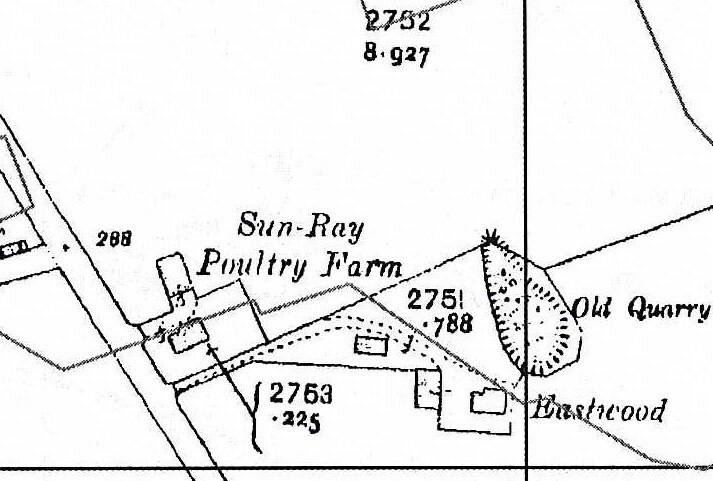 Of the others, one is lying disused, one has disappeared entirely and the fourth, located on the other side of the railway from where the shopping centre now stands, has metamorphosed into the Sun-Ray Poultry Farm. 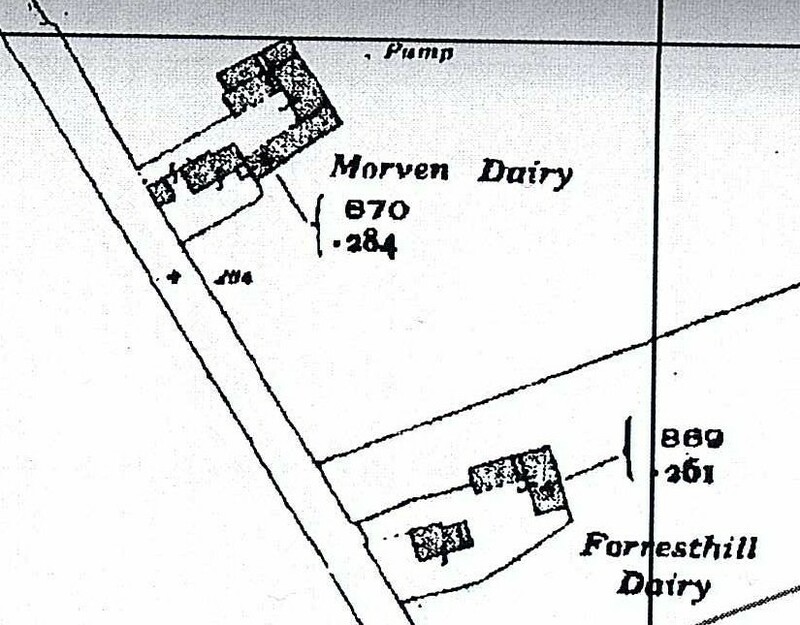 Between the railway and the canal there are two dairies: Morven and Forresthill. The Wester Hailes and Fernieflat farms still exist but Dumbryden is now sub-divided into a number of smallholdings with their own individual names: Sunnyside, Nantara, Duncombe, Ashcroft, Windyrig, Standpretty, Whare and Barscobe. The encroachment of suburbia is a slow but steady trend. 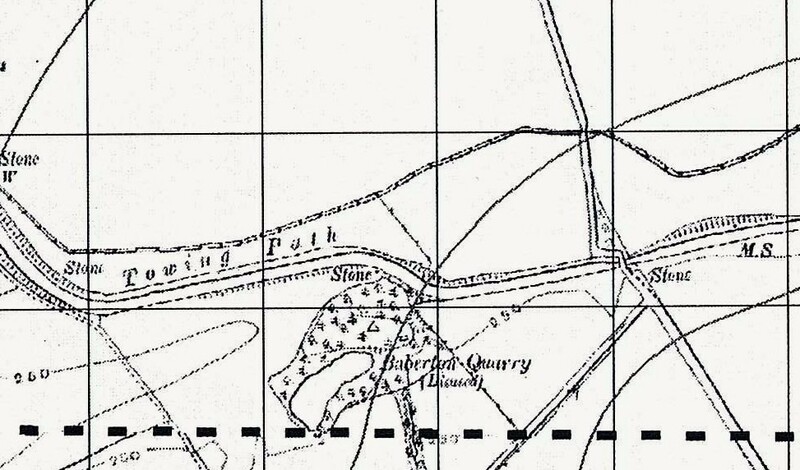 Kingsknowe train station appears in the 1895 map along with Baberton golf course. By the time of the 1915 map Kingsknowe golf course and clubhouse is also shown. Over the years, Juniper Green to the south gradually expands in size while, here and there, within Wester Hailes itself, further houses and cottages spring up. 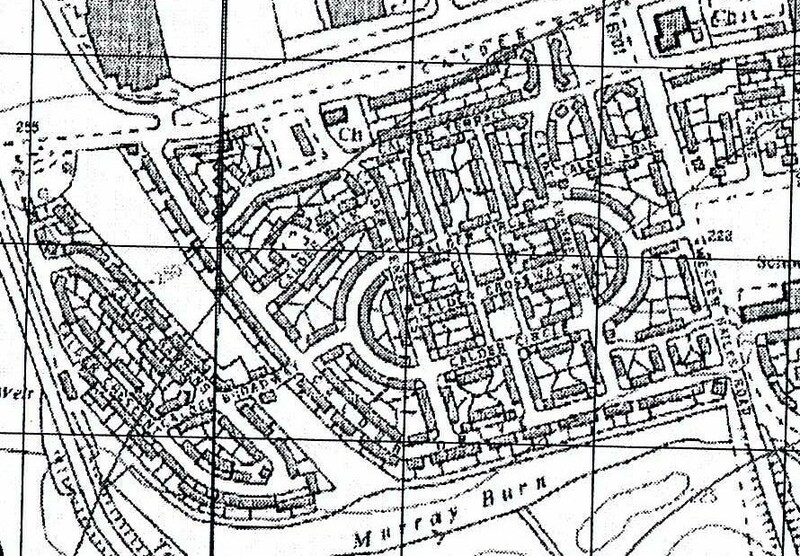 Then, in the period between the 1932 and 1938 maps, the large public housing scheme of Sighthill comes into existence in the north-east. A person from 1855 would still have been able to recognize Wester Hailes, on the eve of the Second World War. Railway, canal, roads, farmland were all still there. Nevertheless, the changes had been considerable. Land was being subdivided and new commercial ventures were springing up, more and more people were living and working there – even more so in the immediate vicinities. From the east, the south and the north the city of Edinburgh was advancing and bringing changes. Categories: history | Tags: environment, history, housing, Wester Hailes | Permalink. From There To Here is now on Facebook! We’ve just launched a Facebook page and you can find this by clicking here on From There To Here: A Wester Hailes Story. You can find lots of our photos there along with snippets from the blog. All reasonable efforts have been made to ensure that the information provided on this blog is accurate and that appropriate permissions to use written content and images have been sought. If you have any queries about the content/ images used or the copyright information attached to them, please contact us using the form below.